Weather Stripping for Overhead Door Brand garage doors. 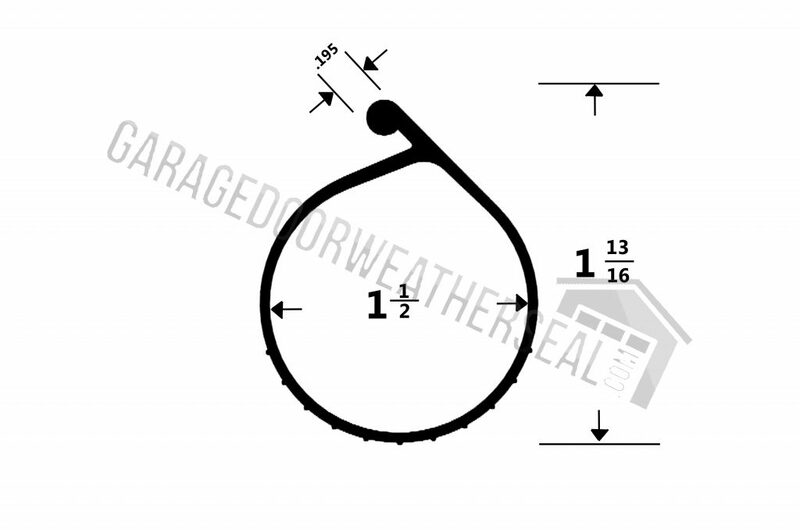 Overhead Door Residential Weather Seal. Overhead door P-bulb garage door bottom weather seal. 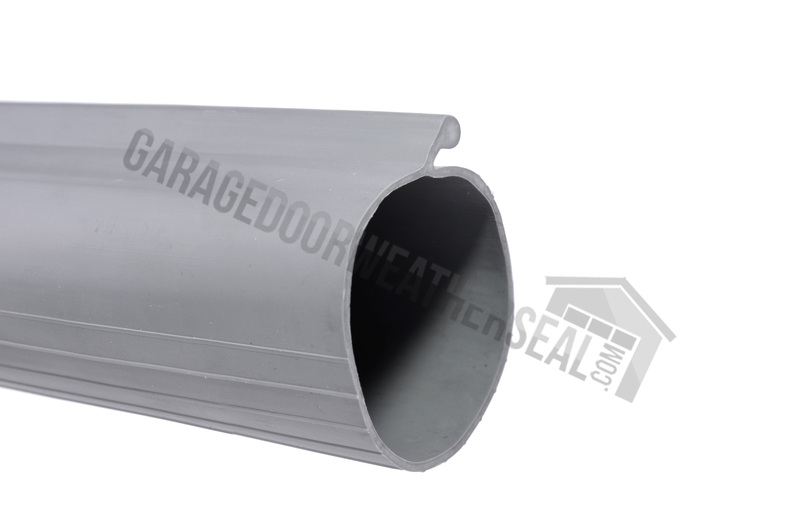 This seal is used on most Overhead Garage Door Brand 2″ insulated and also non insulated RESIDENTIAL Garage Doors, also certain Genie brand garage doors use this type of garage door weather seal as well. Series model numbers 399, 391, 390, 381, 288, 281, 189 – AND OTHER MODELS. Weather Seal is grooved on the bottom to help prevent freezing to floor. This Weather Seal has a P Shape / Style Bead that slides into the bottom retainer on the door. All lengths are at least 2” longer than the size listed to provide a custom fit to your garage door. This holds true for ALL our Weather Seals. The weather stripping is easy to cut to any length using a sharp utility knife. 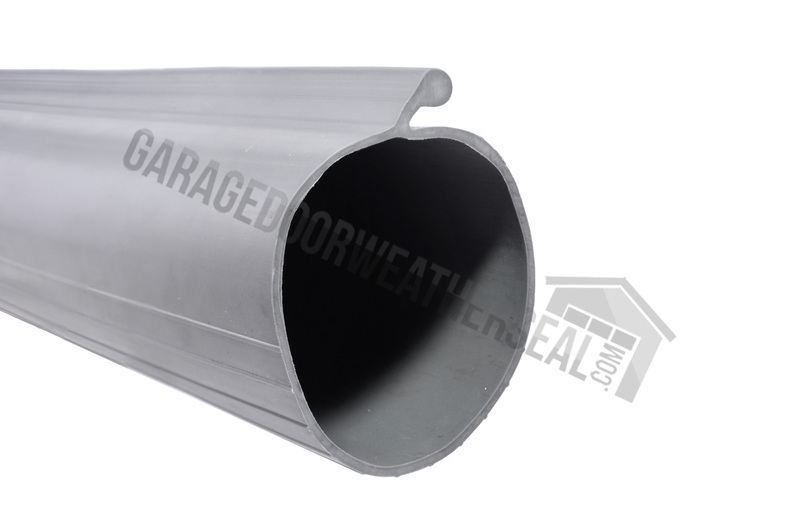 This Garage door weather seal is available in up to 100′ continuous lengths. If desired length is not listed, drop us an email for a quick quote. Installs easily with two people. One guides seal into track and pulls, the other feeds the seal. -Open the ends of the existing retainer if previously crimped and check the entire length of the retainer for any obvious issues, address as needed. -Completely clean the track and then apply lubricant such as WD-40. -Lightly crimp ends of the track to hold in place. Note: If your garage door is not sealing to the floor and being limited to using this style of weather seal is preventing that, we can help. By simply replacing the bottom retainer on the door, it will allow you to choose from a wide variety of garage door weather seals. There are many sizes, types and styles of weather seal that are designed to accommodate any job site condition. A different retainer will allow you to use the popular T style, U shape weather seal that is available in many types and styles to seal any door to the floor. We have kits that contain retainer and T style – U – Shaped weather seal. Check out our store category – Weather Seal Bottom Kits for options and ideas for upgrading to a different style of weather seal, we have numerous options and many informative videos. We can help you seal ANY Garage Door to ANY floor! 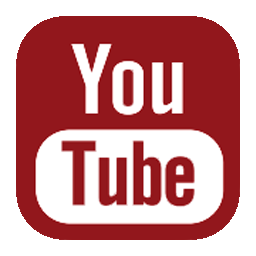 Check out our video on this and all our products. All our products come with FREE and FAST shipping.